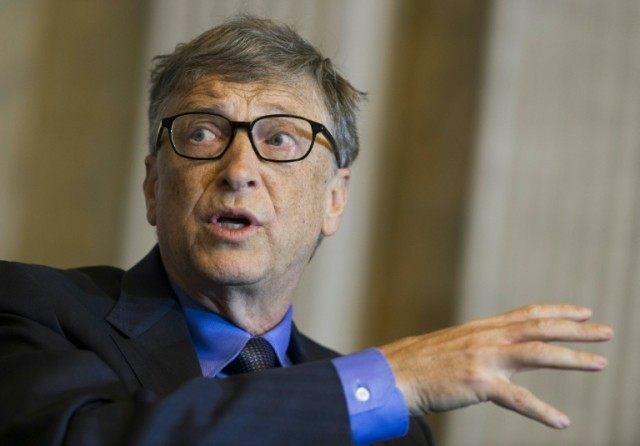 Doha (AFP) – Bill Gates said Wednesday that “with any luck” polio will be eradicated by 2017 in the last two countries where it remains active, Pakistan and Afghanistan. The Microsoft founder, who has donated billions to fight global diseases, was speaking in Doha at the official announcement of a $50 million donation from Qatar to “The Lives and Livelihood Fund”. “There’s very few cases left, just two countries at this point, Pakistan and Afghanistan, and with any luck either this year or next year we will have the last cases of those,” Gates said. Pakistan has already made it an official target to rid the country of polio — an infectious viral disease resulting in muscle damage — in 2016 though there have already been eight recorded cases so far this year. Although these are the two countries where the disease remains endemic, the Global Polio Eradication Initiative calculates eight countries are “vulnerable” to the virus, including Cameroon, South Sudan and Syria. Earlier this year he announced the launch of a $4 billion fund to help eradicate malaria, which he called the “world’s biggest killer”. The head of the QDF, Khalifa bin Jassim Al-Kuwari, said Qatar was “very interested in poverty reduction”. “We aim at launching several projects in the health sector, which will improve the quality of life for millions of people across the Muslim world,” he said. “We try as much as we can to help the countries that suffers from conflicts depending on conditions,” he said.